The Tour of Long Beach is a great ride along the South Coast, with a flat loop at its northern end and a hilly loop at the southern end. The course starts in downtown Long Beach and initially leads north on Los Angeles River Trail. 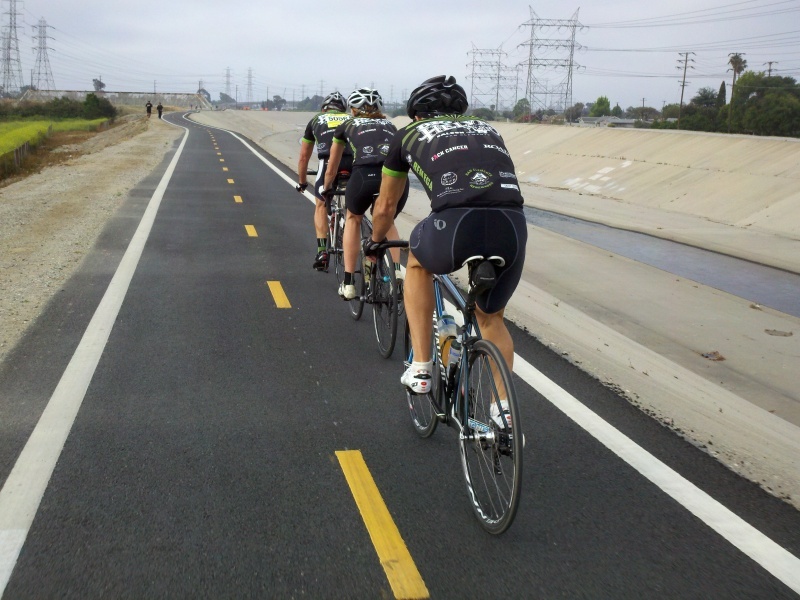 It then connects to San Gabriel River Trail, adds two loops in El Dorado Park, and heads back south to the coast. 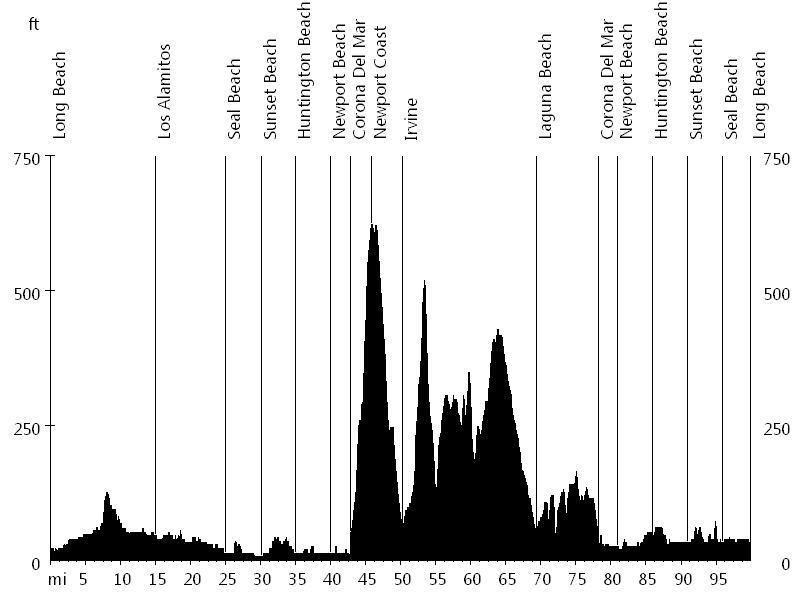 After passing through Seal Beach, Sunset Beach, Huntington Beach, and Newport Beach, the ride turns inland in Corona del Mar. It leads over Newport Coast to UC Irvine and Turtle Rock, followed by Shady Canyon and Laguna Canyon, which heads back to the coast. From Laguna Beach the route leads north on Pacific Coast Highway, again passing through the beach cities. Finally the ride visits Naples Island and follows Long Beach Trail, which heads back to downtown. This event is a fundraiser for the Memorial Medical Center Foundation, benefitting pediatric cancer research at Jonathan Jaques Children’s Cancer Center (JJCCC) at Miller Children's Hospital Long Beach. Thanks to all the volunteers. I received free entry for myself and three friends, so Bob N., Jean C., Matt O'M., and I went for the gran fondo. The ride and support were awesome, and we had a good time at the post-ride bike fest, which included beer tasting from local breweries and live music. I was signed up but unable to ride due to skin cancer surgery. This year I rode with Alan O'B., Bob Y., Ernie L., and Scott G., and we had a great ride. The route was slightly different with an additional climb up Ridge Park Road. Afterwards we met up with coworkers, some of which rode the shorter routes. This year I rode with Alan S., Ernie L., Jarred C., Maurice R., Nasrin A., Sylvia G., and Vince A., and we had a fun ride. Congratulations to Maurice for his first century. Speedy recovery to Vince. This year I rode with Bob Y., Ernie L., and Mitch T., and we had a great ride. The route was slightly different through the Bixby Knolls neighborhood.